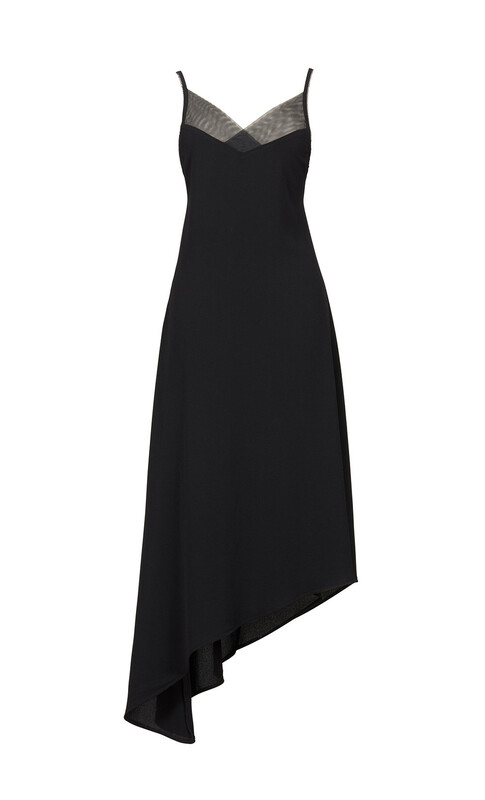 This DORIN FRANKFURT dress is just one example of the brand's expertise when it comes to flattering silhouettes. It has been tailored with elasticated back ribbons for a close fit through the bodice, flaring out to an asymmetrical skirt. The delicate sheer tulle overlay across the décolleté has that dark romantic feel.